Bring a feeling of calm and serenity, as well as exotic interior design, to your home with this metal Buddha head. The tall, elongated design of this metal Buddha ornament is an unusual take on the classic ornament. 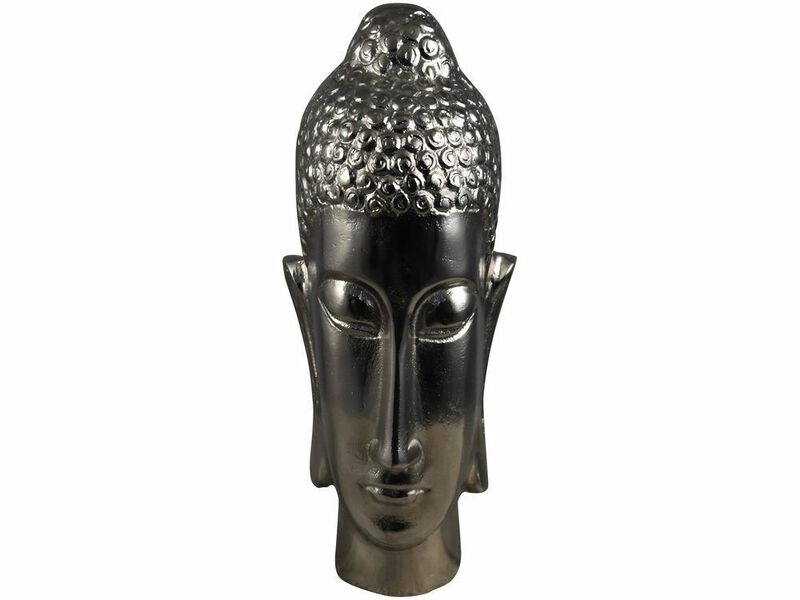 The polished nickel-finish aluminium gives this Buddha head sculpture a bright, crisp look and a dark version of this tall Buddha head design is also available, should you wish to create a yin-yang' style contrasting pair.